Balmain's ribbed tank is decorated with a neat line of the house's signature lion-embossed buttons at the front. 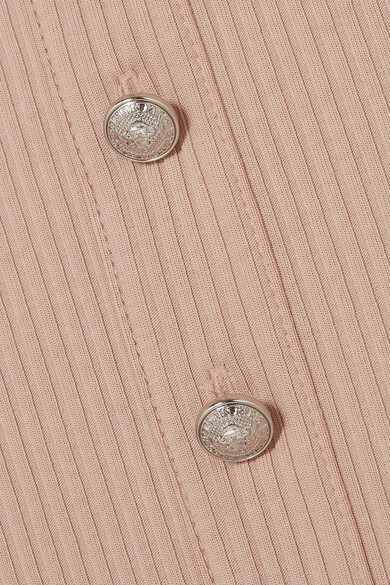 It's made from soft stretch-jersey in a blush hue that goes with just about everything. Leave yours untucked over a pair of jeans or layer it under the label's tailored jacket. Shown here with: AGOLDE Jeans, Paco Rabanne Shoulder bag, Gianvito Rossi Mules, Sophie Buhai Ring.